TUCSON, Ariz. (AP) — Right-hander Ian Kennedy struck out eight in five scoreless innings and the Arizona Diamondbacks earned a 5-4 win in 10 innings over the San Diego Padres on Monday. Down 4-0 entering the bottom of the ninth, the Diamondbacks tied the game with two-run homers by John Hester and Drew Macias. Arizona's Jake Wald drove in the winning run on a single in the 10th. Kennedy lowered his ERA to 2.70. He allowed two hits — a two-out double by Will Venable in the first inning, and a single by Chris Denorfia in the third inning. Kennedy, who is vying for the rotation, then picked off Denorfia at first. 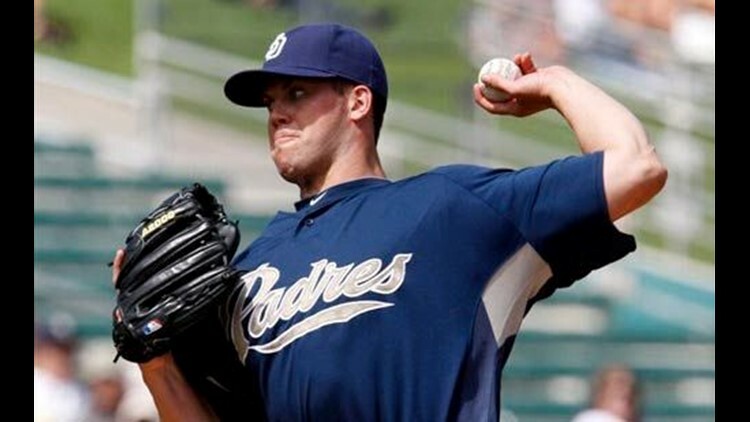 Padres left-hander Clayton Richard threw six shutout innings, striking out three and walking two.